My dream is to see every entrepreneur succeed. No matter what kind of business, in what industry - every person has the right to design, build and run a successful online business. Thrive Business Course is a comprehensive online business course. This covers all aspects of business with a particular focus on online business success. This course covers business foundations, business idea formulation and testing, knowing your customer, creating your website, growing your audience and so much more. Once you have signed up to this course you have life long access. The online world is always changing so you will be able to access the most up to date business knowledge and learning - at all times. This course will take the guesswork out of starting, running and growing a business online. This course will cover the entire spectrum of online business. This course takes the guesswork out of launching a new business and growing it online. I have worked with many new business owners and entrepreneurs over the years. One of the things I noticed time and again was many of them were starting their new business without validating their idea first. So often they would plunge head first into getting a logo created and building a website, before they understood who their customer is and what their customer wants/needs. During every kick off meeting, I would ask clients - who is your customer? Who am I creating this website for? Nine times out of ten - they couldn't tell me exactly. The answer was nearly always - a women aged between 20-45. Many of the online stores failed. It was heartbreaking to see. This has driven me to create a course to help you find the right business for you and to take you through a process that proves to you that your business will work. Then I show you how to create your website and market your new business. I have also worked with many business owners who have been in business for a while and their business is stagnating. The world has changed so much in the last 10 years. Lots of business owners in service based businesses or who own bricks and mortar stores have not embrace online marketing. Every business is essentially an online business now. Your customer nearly always start their search online now. This means that you have to fully embrace all the online marketing and business techniques to ensure that customers will find you, engage with you, visit you and shop with you. EVERYTHING that is taught in this course applies to EVERY business. This course is for everyone. No matter what stage your business is at or what kind of business you have. You have access to ALL the modules this means you learn at your own pace and in your own order. 1. Are you dreaming of starting a new business? 2. Have you just launched a business? 3. Have you been running a business for a while and want to grow it? 4. Have you been running a business for a while and want to change direction? The key here is not to feel overwhelmed about your business but to realise that knowledge is power. Why am I the best person to guide you through this COURSE? Because this is what I love, this is what I am passionate about. I love working through business ideas with my clients. I love watching the ahha moments and seeing the idea evolve into something so much greater than it was in the beginning. I love instilling confidence and wisdom. I love sharing practical insights and setting actionable tasks. This course is based on years of experience and thorough research. I have worked with over 150 start up entrepreneurs. 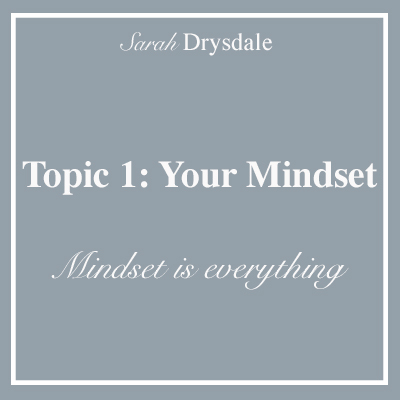 Over the last year I have consumed content from some of the wisest and most experienced entrepreneurs and I bring it all together for you in a clear and concise course. I leverage both my formal education (3 degrees and counting) and my real life experience (20 years working and running small businesses) to propel your through the idea generation and validation stage onto to launch. Lifetime access to the course is $199. You can pay over two instalments. This course is launching in June 2016. Please register your interest now and I will contact you when course registrations open.